The lawsuit filed by kidnapper Chukwudumeme Onwuamadike aka Evans, against the police has been granted by a Federal High court in Lagos. 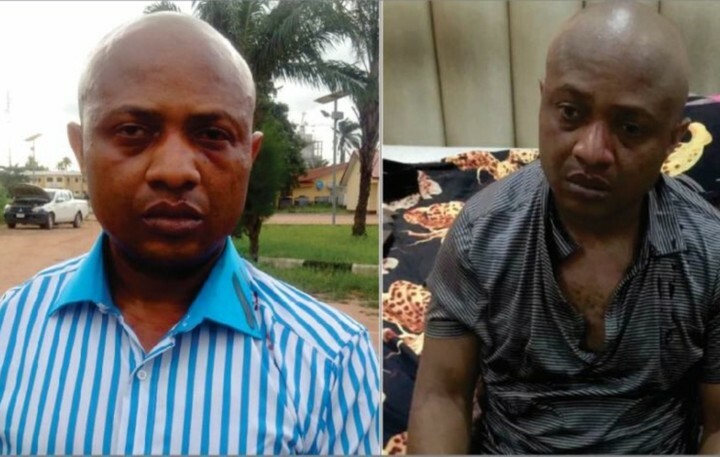 Recall Evans through his lawyer, Olukoya Ogungbeje had filed a fundamental human rights lawsuit against the Nigerian police, IGP Odris over illegal detention without proper trial. The presiding judge, Justice Abdulaziz Anka, dismissed police argument that the case was not ripe for hearing due to the Inspector-General of Police and the Nigeria Police Force being served with court papers in Lagos rather than in Abuja. He upheld the argument by Evans’ lawyer that the IGP Idris and the Nigerian Police Force (NPF) were rightly served the papers. Justice Anka also agreed with Ogungbeje that Mr. Emmanuel Eze, who appeared for the 3rd and 4th respondents in the case, had no right to speak for the IG and the NPF, which were joined in the suit as the 1st and 2nd respondents respectively.